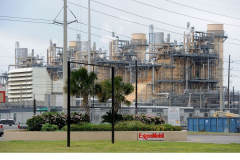 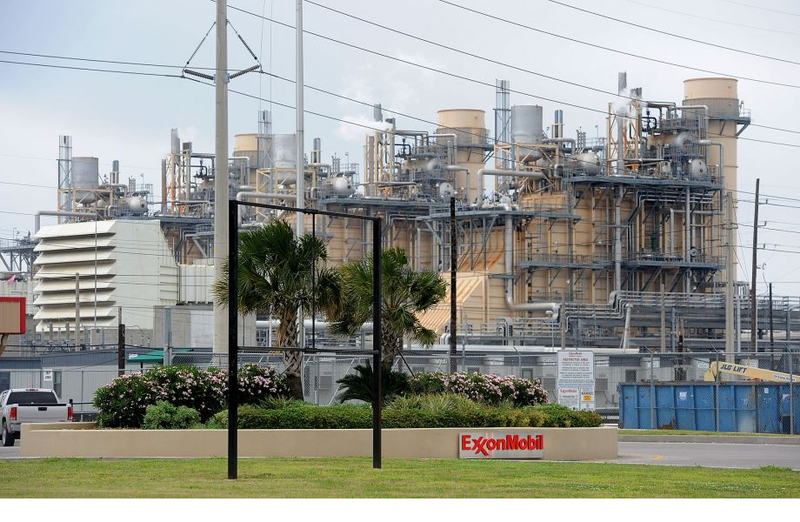 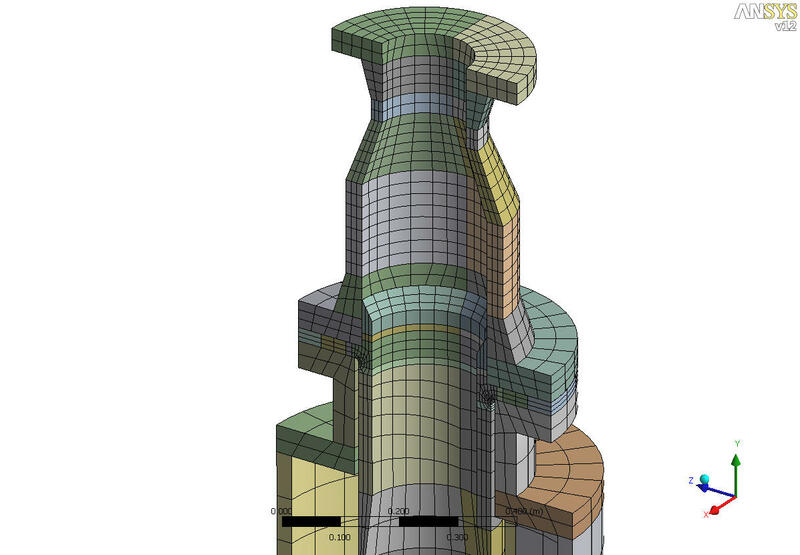 Supporting the TNO Flow and Structural Dynamics section, DTRL was involved in the mechanical vibration analysis for optimizing the acoustic design of a new 2nd stage discharge silencer for the Kobelco-made vent gas compressors at the ExxonMobil refinery in Beaumont, Texas. 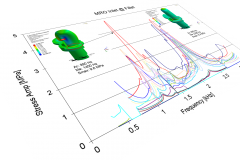 The mechanical response analysis focuses on the silencer resistance to fatigue failure. 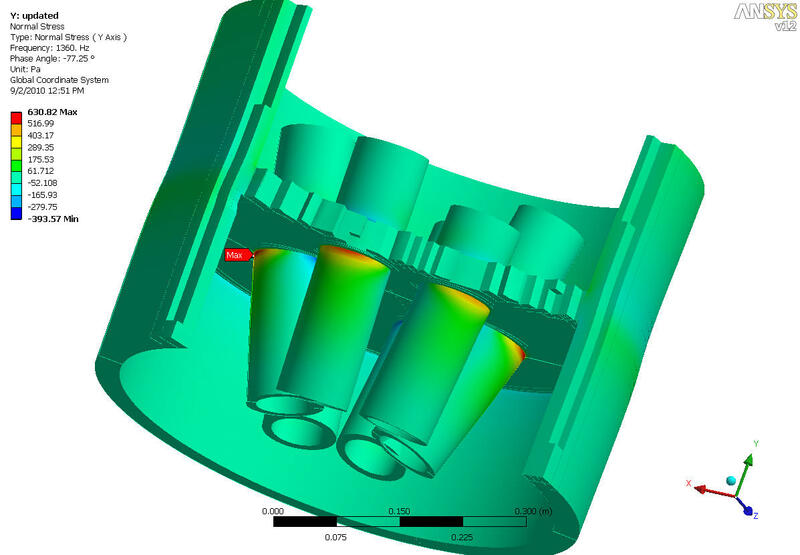 The analysis is performed with a finite element model of the entire silencer, discharge piping including supporting and spool piece. 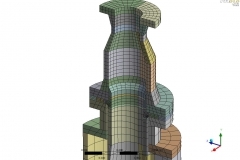 In the finite element model pressure data from a 3D acoustic analysis, performed in COMSOL, is used as input. 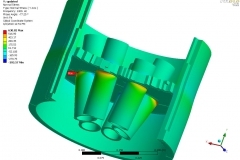 On the model a harmonic response analysis is performed in which the cyclic stresses are extracted. 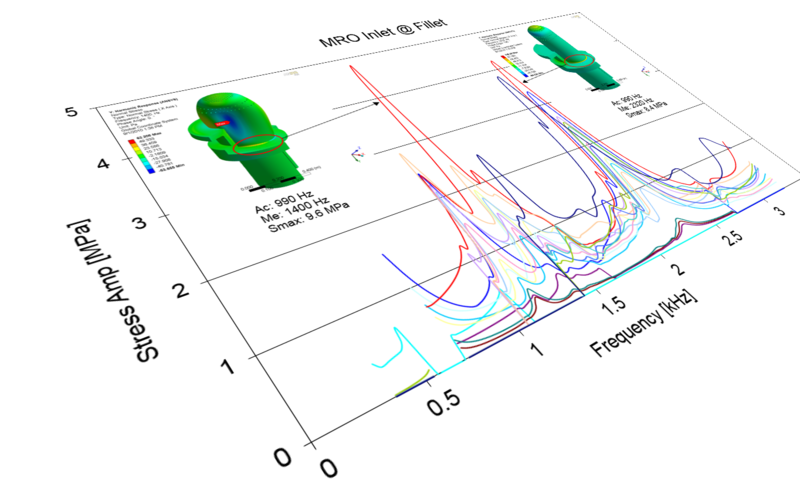 The stresses are combined into stress range frequency response spectra which are compared with the allowable stress level for fatigue.